Originally released as CD on MAJIKICK RECORDS in 2000. 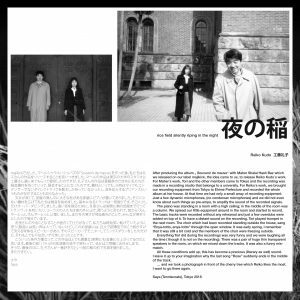 Reiko Kudo first appeared on the Tokyo underground music scene in 1980 with NOISE, a duo which consisted of Tori Kudo on organ and herself (then under her maiden name Reiko Omura) on voice, guitar and trumpet. Their only album TENNO (1980 on Engel) is probably one of the most outstanding and uncompromising records of all time. Besides other pioneering female producers from Japan such as NON (of NON BAND), PHEW and HACO, who all had started their startling careers in the early days of the japanese Punk era, Reiko Kudo can surely be regarded as one of the most unique, uncategorisable and daring voices in the field of electronic and experimental music until today. 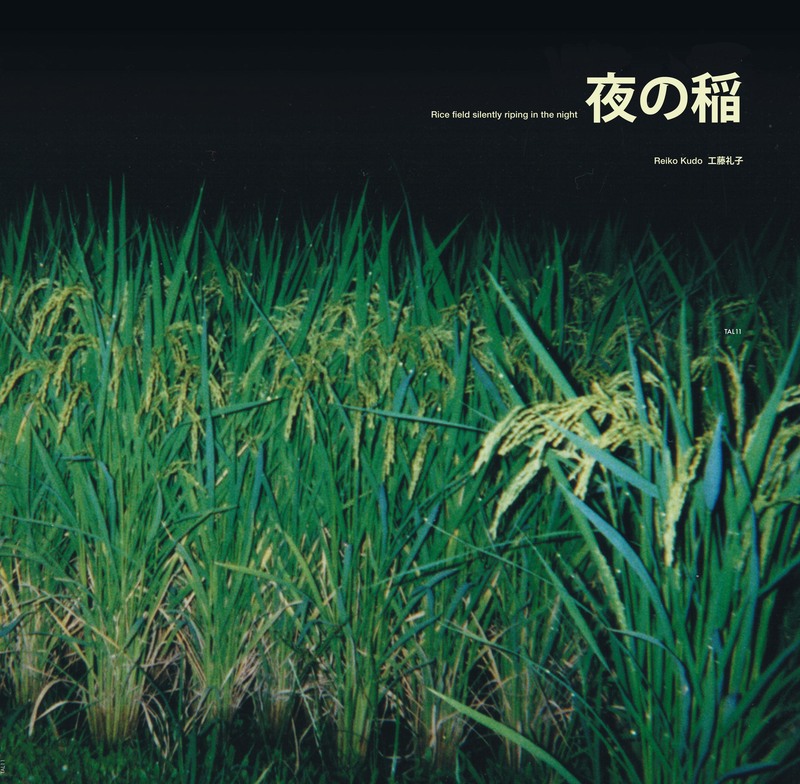 RICE FIELD SILENTLY RIPING IN THE NIGHT was REIKO KUDO’s second album under her own name. 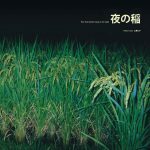 It features TORI KUDO (MAHER SHALAL HASH BAZ) and SAYA and TAKASHI UENO (TENNISCOATS) on various instruments. The recordings took place in 2000 at Reiko‘ s and Tori’s house in the rural surroundings of Shikoku island. All recorded music on this album sounds like it was coming straight out of a parallel dimension where time and key signatures simply don’t exist, Some might describe this as outsider music, but this doesn’t really do justice to the quality of the tracks, as this really isn’t accidental or forced, rather this is music simply done in a different way and yet again REIKO KUDO has made something utterly beautiful. 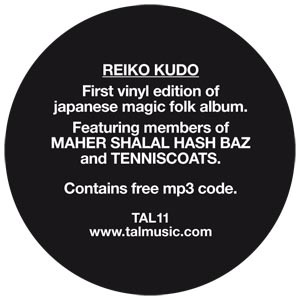 After producing the album „Souvenir de mauve“ with Maher Shalal Hash Baz which we released on our label majikick, the idea came to us, to release Reiko Kudo’s work. For Reiko’s work, we brought our recording equipment from Tokyo to Matsuyama and recorded the whole album at her house. The piano was standing in a room with a high ceiling. We would set up our small recording equipment in the room and started to record. The basic tracks were recorded without any rehearsal and just a few overdubs were added on top of it. 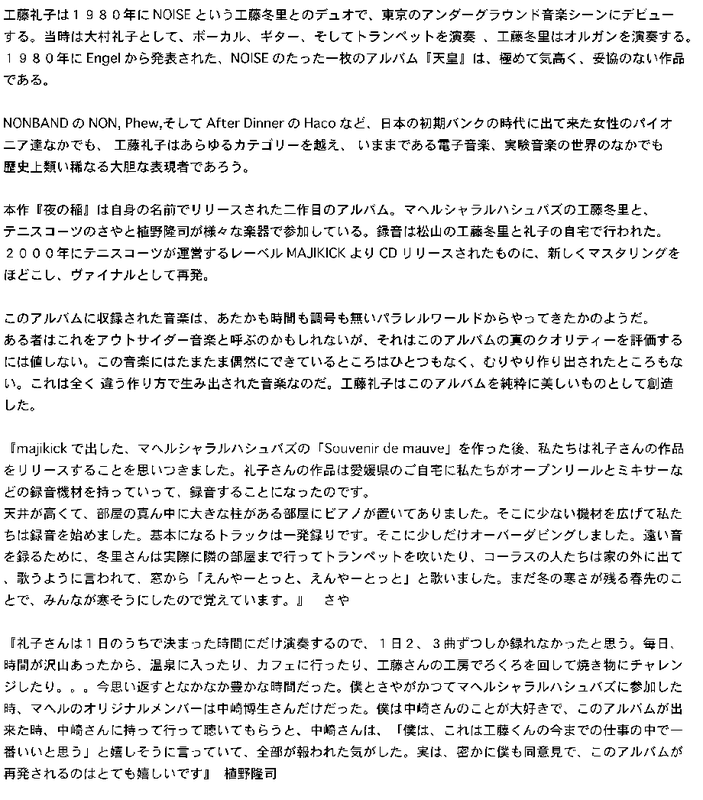 To have a distant sound on the recording, Tori played trumpet in the next room. The choir was standing outside the house, sang „Enya-totto, enya-totto“ through the open window. It was early spring, I remember that it was still a bit cold and the members of the choir were freezing outside. Reiko plays only at certain times of the day, so that we could only make two or three recordings a day. Therefore we had plenty of free time. We went to a hot spring, to a cafe, or we tried pottery on a spinning wheel at Tori’s workshop. 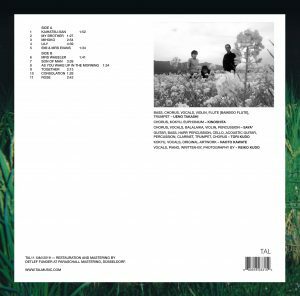 It was a very rich time, so we are delighted that this album will be re-issued.